Looking for hotels near Le Kremlin Bicêtre Metro Station? This hotel is located just 656 feet from Place d’Italie Metro Station. It is a 5-minute walk from the popular Rue Mouffetard, and offers free WiFi in the guest rooms. Great staff, clean rooms and they really tried hard to get the AC to cope with the record temps. 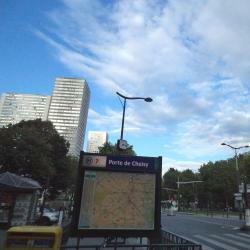 Hotels with great access to Le Kremlin Bicêtre Metro Station!